Late last year I wrote a review on the new release of Articulate Storyline based on my initial thoughts after using the software as a beta tester. Since then, I have had a chance to develop content with it extensively over the last 6 months or so creating projects ranging from course templates, software training and soft skills courses. 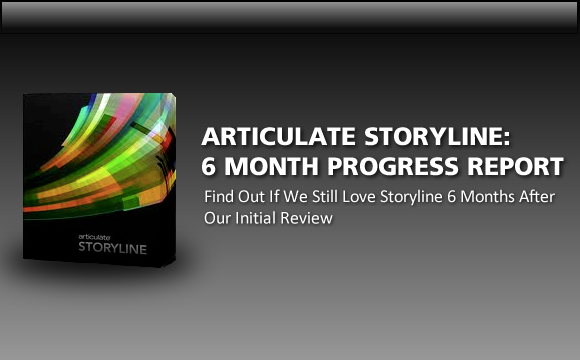 In my initial review, I gave Storyline a glowing recommendation. Now that I’ve had a chance to use Storyline for real world projects, does my recommendation still stand? Read on to find out. Triggers: I find myself using triggers for things as simple as jumping to a different slide, to more complex tasks such as changing the value of a variable. While triggers in general are simple, they provide you with the building blocks to create a large amount of interactivity into your content. (Click here for some tutorials on using Triggers). 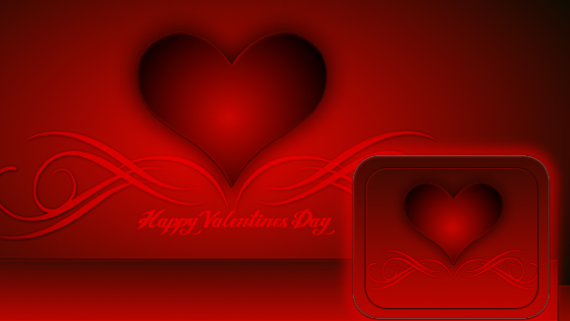 Layers: If you have ever used an image editing tool such as Photoshop or Fireworks, then you already have a good idea of what layers are. The ability to have multiple layers per slide gives you an added dimension to work with. What normally might have to be split up into one or two slides, can now be kept on a single slide, but organized into different layers. Once you get used to working with layers, you will wonder how you ever got along without them! Scenes: If you come from a background working with Flash, then you are familiar with scenes. 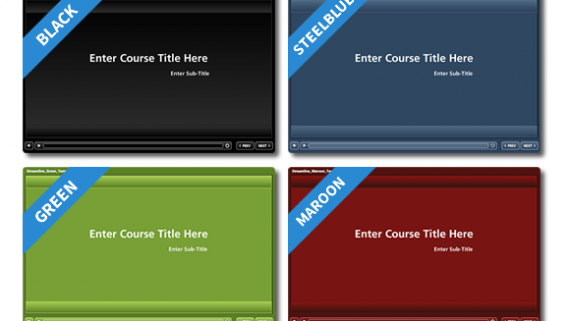 In Storyline, you can use scenes as a way to organize the structure and content of your course. It makes it very easy to visually see how your course flows. Overall Ease of Use: After only a few hours of using Storyline, I instantly felt at home. Since the interface borrows heavily from PowerPoint, it was very easy for me to find my way around and figure out how to use the software. All of the functionality is logically organized on the different menus and are easily accessible. Most of the functionality is very straightforward also, and if for some reason you can’t figure something out, you can also ask the great Articulate community for advice. iOS Publishing: While I haven’t had to use this feature very much, I do appreciate having the option to publish content for the iPad. I’m not 100% sold on HTML5 output, so having the ability to publish my content, then view it with the Articulate Mobile player provides a nice alternative. Although all of the functionality of Storyline is not supported for iPad publishing, it still does a fairly good job. 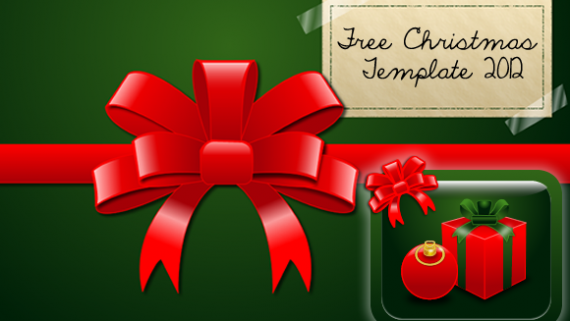 Flexibility and Customizability: Since I spend a lot of my time creating templates (which you can see here), having a tool that is very flexible and that can be customized is very important to me. 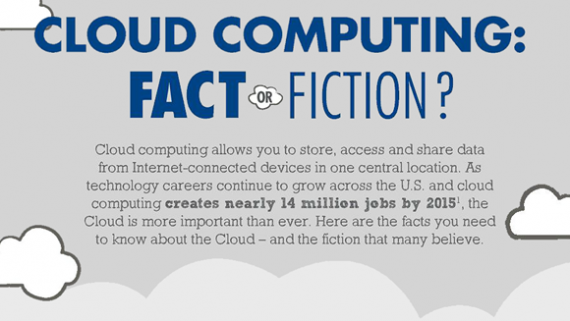 So far, I can say that if I come up with an idea, I can make it come to reality using Storyline. 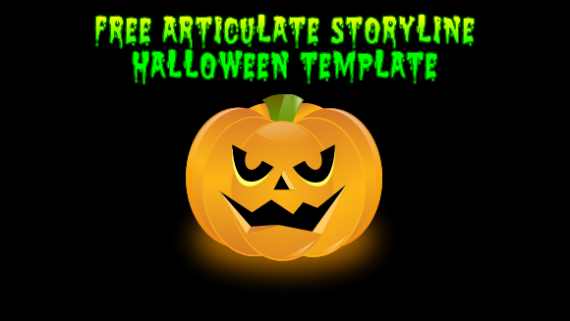 I can make my Storyline projects look and feel almost any way that I want, my only limitation is my imagination. I think it is great when someone looks at one of my projects and can’t tell what software I am using. That’s the ultimate sign of flexibility and customizability. Crashing: In Articulate’s defense, Storyline is still version 1.0 software, and all software crashes at some point. Having said that, there have been instances where I noticed that Storyline would repeatedly crash. I experienced most of my crashes when importing audio files and working with the timeline, but have experienced crashes while completing other tasks too. Again, this is not a deal breaker because all software seems to crash at one time or the other and Articulate releases software updates to address many of these issues. Bugs/Quirks: This is in a way also related to the fact that Storyline is still version 1.0 software. Once in a while I will run into some little quirks, like my audio not playing when I preview a slide (even though my audio is clearly visible on the timeline), or having slides appear out of order in preview mode when viewing a simulation. Most of these little issues I have been able to fix by either simply rebooting Storyline or recapturing a slide, so while a little annoying at times, they are easily fixed. No Course Duration on Player: This is another minor one, but for some reason, Articulate decided not to make the course duration visible on the player shell. The course duration is visible if you publish for iOS, but not if you publish to SWF or HTML5. It would be nice to have this option for all versions of publishing. Limited Animations: Articulate has fairly limited animation capabilities and effects. I also would love to be able to have control over animations using triggers. No Ability to Add Custom Buttons to the Player Bar: Right now, you can have a next button, previous button and the submit button, but it would be nice to be able to assign a custom button on the bar and then assign a trigger to it. The Articulate Storyline SDK is in development, so that might address this once it is released. As you can see, the things that I point out that I haven’t been happy with when using Storyline are all very minor issues, and I’m fairly confident Articulate will be addressing most of them. 6 months ago I gave Storyline a strong recommendation, and now that I have had a chance to work with it on almost a daily basis, I still give that recommendation. In fact, now that I know the Ins and Outs of the software, I actually like Storyline better than I did initially. Storyline may not fit the needs of every e-learning developer out there, but it is a good option for many people. If you haven’t already tried it, I suggest you download a trial copy and do some experimenting. 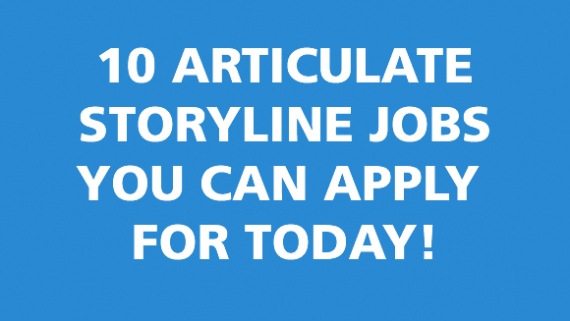 You just might find that Storyline is the tool you are looking for. 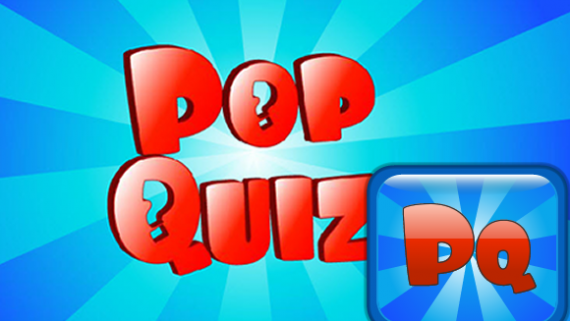 Storyline Template of the Month Dec. 2012 – Pop Quiz!